The Royal House Polanie-Patrikios has established several Dynastic Orders as a means of rewarding service to the Royal House and to the cause of monarchism. 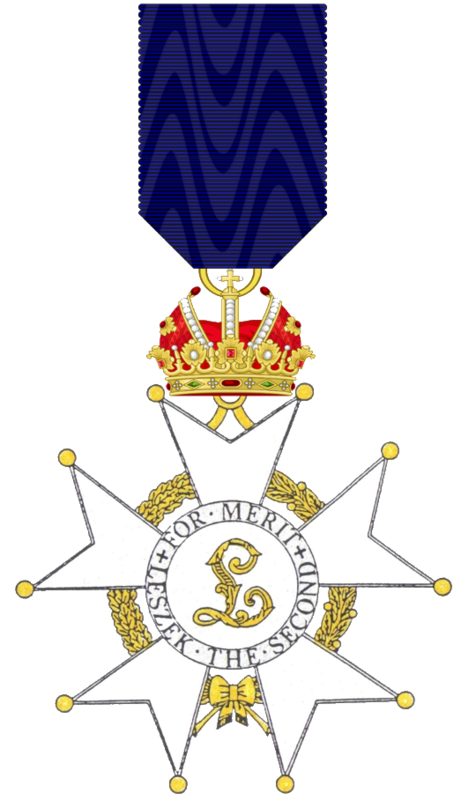 The Orders have enjoyed a wide international membership and have received recognition from numerous members of Royal Houses, international leaders and personalities of note who are counted among their recipients. This Order is the premier order of the Royal House, founded by Patriarch Peter II of Byelorussia on 11 February 1971 with Prince Frederick of Vilna and all Byelorussia as its first Grand Master. It is awarded rarely and with a limit of twenty-five members at any one time. Recipients must be baptised Christians professing the Orthodox faith. Since new statutes were issued in 2015, the Order now consists of a single grade, that of knight or dame (KICB). 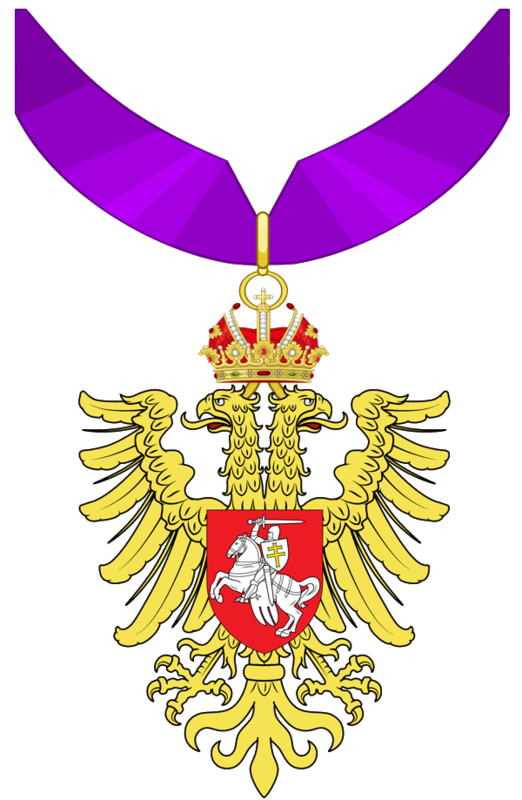 However, those who receive the accolade in this Order are also ipso facto admitted to the Grand Cross rank of the Order of the Golden Cross of Miensk and the rank of Knight Nobilis Excubitor in the Byzantine Order of Leo V the Armenian. This Order, which is in the personal gift of the Prince of Miensk, was founded by Patriarch Peter II of Byelorussia on 1 November 1970 with Prince Kermit of Miensk as its first Grand Master. It has as its purposes the glorification and defence of the Byelorussian Church and Royal House, and the propagation of the Christian Faith. It is open to both men and women and is awarded in the grades of Knight (K.G.C.M. ), Knight Commander (K.C.G.C.M.) and Knight Grand Cross (K.G.C.G.C.M. ), with the Collar of the Order being awarded as its supreme accolade. 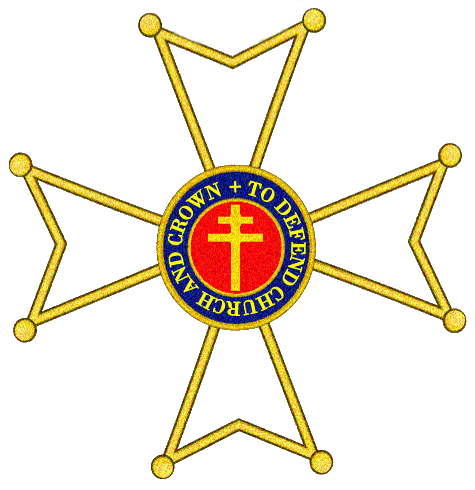 The motto of the Order is “To Defend Church and Crown”. The Golden Cross referred to is the Cross of St Euphrosyne, which is a Belarusian national treasure, missing since the Second World War. 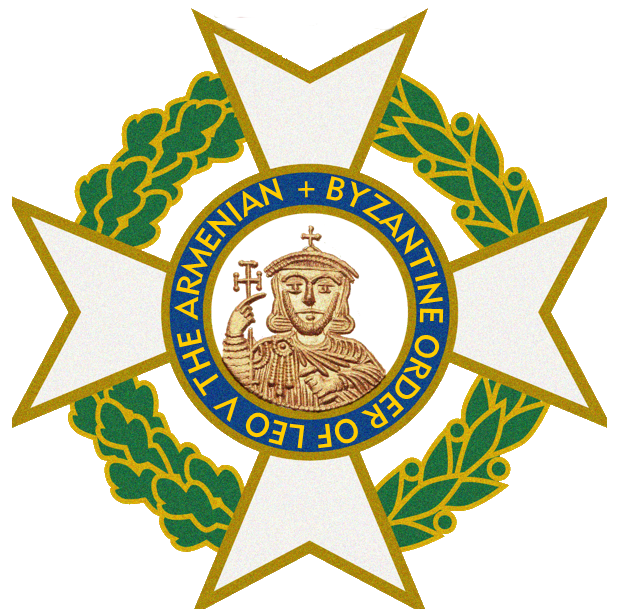 The Byzantine Order of Leo V the Armenian is named for the Emperor Leo V, ancestor of the Royal House. Founded by Prince Kermit of Miensk, it has a worldwide membership of men and women unrestricted by creed. The Order exists for the reward of merit in all fields and is awarded in the ranks of Knight Nobilis Excubitor (which confers hereditary nobility) (K.N.E.L.A. ), Knight Majus (K.M.L.A.) and Knight (K.L.A.). The decoration of the Order reproduces a portrait of Leo V used on his gold coinage. “The Excubitor”, the printed journal of the Royal House for over twenty years, was the official newsletter of this Order. This Order, instituted by Prince Kermit of Miensk in memory of his late uncle, is restricted to members of the Royal House solely. It is conferred in a single class of knight or dame (KII). This Order, instituted by Prince Kermit of Miensk, is under the Grand Mastership of his widow Princess Patricia of Miensk, and is bestowed by her occasionally as a personal mark of distinction. The Holy and Blessed Order of the Sacred Cup is a religious fraternity of men with a chivalric character founded in Grafton, West Virginia, on 1 August 1970 under charter from Patriarch Peter II of Byelorussia with Apostolic Blessings from the Patriarch of Jerusalem, Benediktos I, and has since received Apostolic Blessings from his successor Diodoros I and other Orthodox hierarchs. It is Christian and ecumenical in nature, and is conferred in the single rank of knight (K.S.C.) Women and members of non-Christian faiths may be admitted as honorary members. The Order of Merit of Leszek II is named for the legendary Popielid ruler of the Polanes. It is bestowed by the Royal House Polanie-Patrikios as a personal token of recognition of commendable service in various areas, some of which are Religion, Letters, the Arts, Music, Chivalry, Public Service, Military Valour, and favours to the Royal House or its members. The conferral of the Order does not bestow knightly rank, but is rather a recognition of a “job well done” and a formal “thank you” from the Prince of Miensk. The letters O.M.L. may be used by holders of the Order. This Order of Merit may be given freely to persons of all ranks and stations, regardless of gender, age, religion, or political views. Persons who, like Leszek II, love Justice, Temperance and Goodness, may be nominated to be considered for this award. The Sovereign Orthodox Order of the Knights Hospitaller of St John of Jerusalem is a direct descendant of the world’s oldest order of chivalry. Founded around 1023 by Blessed Gerard Thom to provide care for poor, sick and injured pilgrims to the Holy Land, it was associated with an Amalfitan hospital in Jerusalem. In 1798, Czar Paul I of Russia was elected Grand Master and created the Russian Grand Priory, from which the Protectorate descends. The present character of the Protectorate is that of an ecumenical and extraterritorial Christian ecclesiastical community under the aegis of the Royal House. The present-day Military and Hospitaller Order of St. Lazarus of Jerusalem looks back to an ancient origin. At some time after 1098, the crusaders at the Latin Kingdom of Jerusalem founded this order of chivalry at a leper hospital. The founding knights were themselves lepers, and they devoted their order to the treatment of those with the disease. Following the end of the protection of the Order by the King of France, canonical re-organization occurred in 1841, when the Melkite Greek Patriarch Maximos III (Mazloum) granted his spiritual protection to the Order, and this state of affairs continued under his successors until the Patriarch transferred the government of the Order to a Council of Officers in Paris in 1910.The present character of the Protectorate is that of an ecumenical and extraterritorial Christian ecclesiastical community under the aegis of the Royal House. The Order of the Pedigree and the Order of St Laurent remain under the aegis of the Royal House but no new appointments have been made to these Orders for some years.